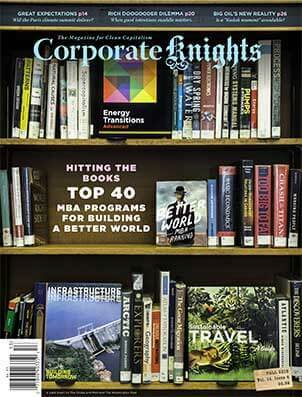 Schulich, Desautels and Copenhagen MBA programs score top marks on CK’s Better World MBA Ranking. Efforts to be directed at the country's oil and gas sector. You can drive an EV, use solar and insulate your home, but air travel will put your carbon footprint on steroids. The winners exemplify how sustainability can be integrally woven into the infrastructure, culture and curriculum of a school. More politicians are turning to meditation and other Buddhism-inspired techniques embraced in the business world.